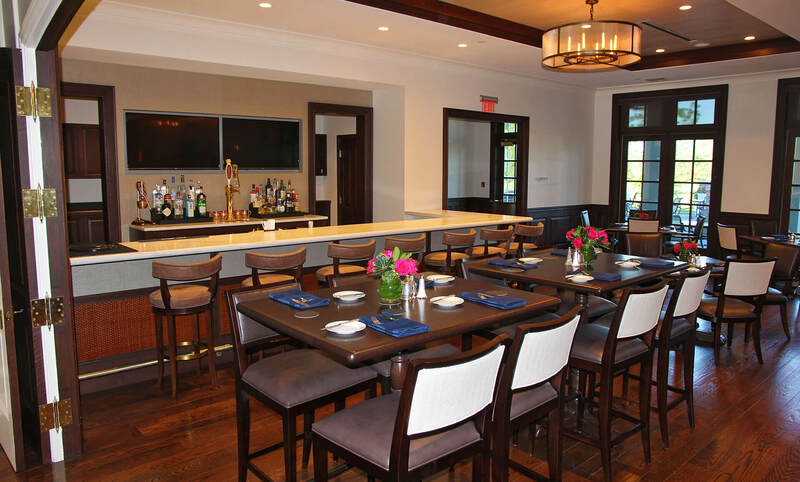 The grill is located at the north end of the club’s spacious, bright and modern clubhouse. It overlooks the 18th hole and the expansive prairie-style golf course. 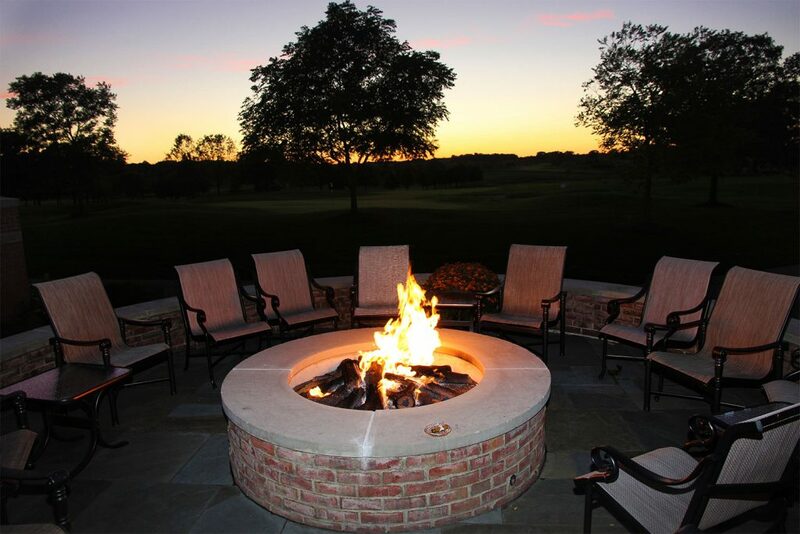 It also features a beautiful patio and firepit where members and their guests can enjoy the breathtaking scenery. Recently remodeled to a more contemporary and upscale style, the grill at Merit Club is perfect for casual and formal dining. The innovative culinary team at Merit Club brings passion and an ever-evolving menu to the grill. Its offerings incorporate the fresh seasonal foods and wide-ranging flavors. 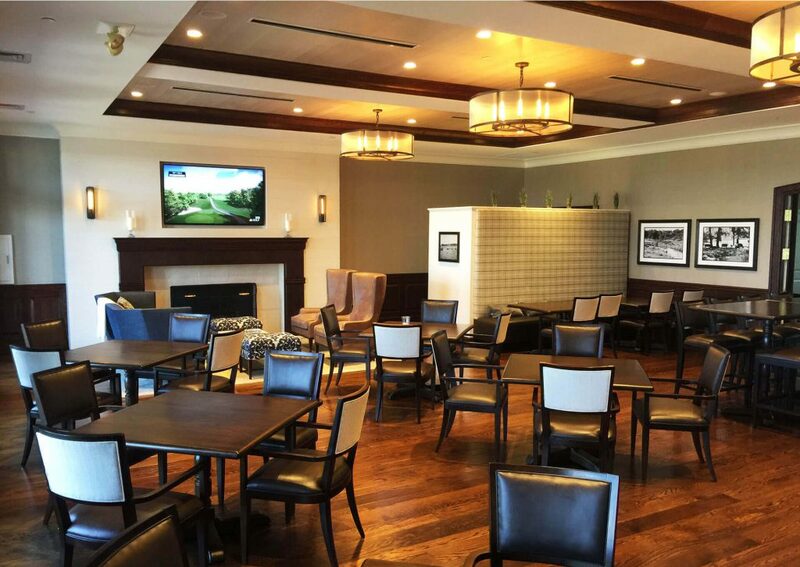 The grill can accommodate your foursome, couples, friends and groups of up to 60 people. It also features a full bar and an attractive setting with a warm atmosphere, perfect for any occasion. While the club holds regular social events throughout the year, the grill is also available for small, private events. Take in the elegant and contemporary design, the beautiful hardwood floors, tall ceilings, and neutral colors. Dine indoors, enjoy a drink by the roaring fire or head outside to the spacious patio and firepit. The atmosphere is always relaxing. The grill space was designed to accommodate the needs and interests of members and guests. The Merit Club Grill serves lunch six days a week during the operating months of April through October. From mid-May until the end of September, dinner is served on Wednesday through Sunday. During October, dinner is served Friday through Sunday. Members and their guests may also enjoy private lunches and dinners in the cozy library.